If you need a place to stay, you may be eligible for Transitional Sheltering Assistance for a limited time. Click here for a list of participating hotels​. You may also be able to stay for free in Texas state parks. Call the park to check availability. The National Housing Locator System: Disaster Resource Locator may be used to find housing. Low-income households with food loss or damage caused by a natural disaster may qualify fo​r Disaster Supplemental Nutrition Assistance Program (D-SNAP). If you lost your job because of Harvey, you may qualify for Disaster Unemployment Assistance​ through the Texas Workforce Commission. You may also call weekdays 8 a.m. through 6 p.m. at 800-939-6631. Contact your insurance agent. Be sure to document the damage using photographs or videos, and keep all of your paperwork. Settlement Practices. The new law (HB 1774) that took effect on September 1, 2017, still penalizes unfair settlement practices on the part of insurance companies (although it doesn’t penalize them quite as harshly). It also tightens up the requirements on the part of the insured, with a view toward preventing fraud. Insurers may require inspection, and the new law penalizes unreasonable demands, which means you should try to obtain an accurate estimate of the damages. 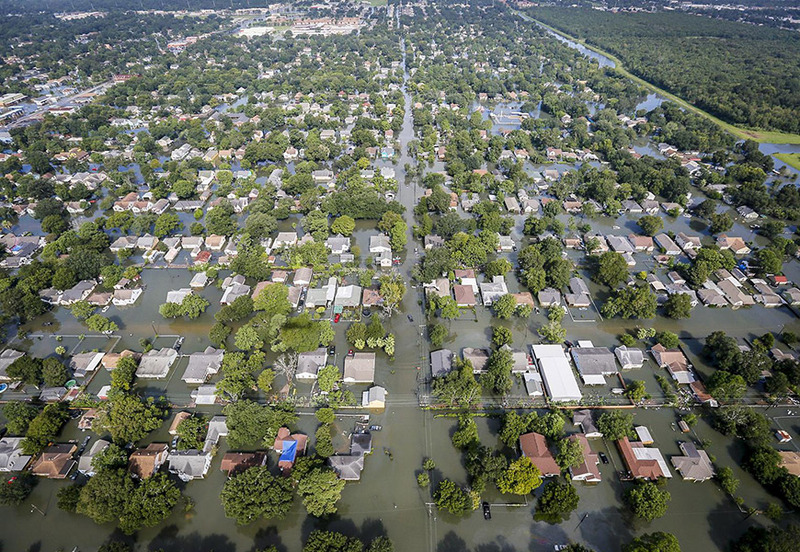 The new law does not apply to National Flood Insurance Program (NFIP) and Texas Windstorm Insurance Association (TWIA) claims. Flooded Cars. Whether your loss is covered depends on what type of coverage you purchased. Consult your policy and/or declarations page to see if you are covered, and/or contact your insurance agent or insurance company. Submit photographs of the damage, including pictures of your car in the water. If your car cannot be found, contact law enforcement. It may have been swept away and found elsewhere. Crop Insurance. Agricultural producers covered by private crop-hail insurance should contact their insurance agent and submit a notice of loss. Those with multiperil federal crop insurance should follow procedures as set forth at USDA's ​Storm Disaster Resources and/or USDA's Emergency ​Procedures for Crops ​Damaged by Hurricane Harvey bulletin. The United States Department of Agriculture Risk Management Agency has authorized special emergency procedures. Windstorm Insurance. To report a claim online, visit Texas ​Windstorm Insurance Association's Claims Center​. Mobile locations are available at Lindale Recreation Center, 3133 Swantner Street in Corpus Christi and GSM Insurors, 102 East Laurel Street in Rockport. Flood Insurance. For information on filing a flood insurance claim, including the enhanced claims process for Hurricane Harvey, click here​. Always follow the requirements to the letter. This is especially true if your policy is backed by the federal government (even if offered through a private company) because the company may not waive policy provisions on a federally backed policy. It is possible that you may qualify for an advance payment, which allows you to start repairs before the adjuster’s inspection. Make sure you do what you can to prevent the growth and spread of mold. If you don’t, your mold damage may not be covered. Information about cleaning mold may be found on the Environmental Protection Agency's website. Texas Department of Insurance (TDI) Help Line. TDI has posted an informational page on its website. A help line is also available from 8 a.m. to 8 p.m. on weekdays and 8 a.m. to 5 p.m. on weekends at 800-252-3439. Insurance Mobile Units. TDI and various insurance companies have set up disaster assistance mobile units for help filing a claim or for questions about claims and coverage. A list of mobile unit locations is on the Texas Department of Insurance​ website. Numerous government disaster-assistance programs are available. A list of some of them can be found on Disast​erAssistance.gov​. The Federal Emergency Management Agency (FEMA) Individuals and Households Program provides financial and direct services to individuals and households who have uninsured or underinsured necessary expenses and serious needs. low-cost loans to cover uninsured property losses. payment of some of the costs of hazard mitigation projects undertaken by state and local governments to prevent or reduce long-term risk to life and property from natural or technological disasters. More information is available at FEMA's Texas Hurricane Harvey (DR-4332) and at FEMA's Federal Aid Programs for the State of Texas. To apply for assistance, register online at Disa​sterAssistance.gov, or call 800-621-FEMA (800-621-3362). Applicants with speech disability or hearing loss who use TTY call 800-462-7585. Those who use 711 or VRS, call 800-621-3362. These lines are open seven days a week from 7 a.m. to 10 p.m.
Once you have registered, you will schedule a FEMA inspection. After the inspection, you will receive a FEMA determination letter, notifying you of FEMA’s decision. Read it carefully, and contact FEMA about anything you believe may be an error. Make sure you use the FEMA money only for disaster-related purposes. Keep good records and keep all of the receipts. You may have to prove that the funds were appropriately used. Funeral Assistance – Individuals and Households Program. To locate a center near you, visit FEMA's Disaster Recovery Centers​. SBA Disaster Loans. Small businesses, private nonprofit organizations, renters, and homeowners may be eligible for low-interest disaster loans from the Small Business Administration. Emergency Watershed Program. If your land has suffered severe damage from flooding, you may qualify for the Emergency Watershed Program, which provides recovery assistance. You must contact a local sponsoring authority that will represent you in the process. You may also be eligible for a floodplain easement. To request assistance, find a United States Department of Agriculture (USDA) Service Center​. Agriculture. The U.S. Farm Service Agency administers many safety-net programs to help producers recover from eligible losses. These include the Livestock Indemnity Program; Emergency Assistance for Livestock, Honeybees, and Farm-raised Fish Program; Noninsured Crop Disaster Assistance Program; Tree Assistance Program; and the Emergency Forest Restoration Program. Owners of meat- and poultry-producing businesses who have questions or concerns about food safety may contact the Food Safety and Inspection Service Small Plant Help Desk at 877-FSIS-HELP (877-374-7435), or by email at infosource@fsis.usda.gov​. Individuals who are concerned about food safety may download a brochure about food safety and hurricanes​. Questions may be directed to the U.S. Department of Agriculture Meat and Poultry Hotline at 888-MPHotline (888-674-6854). The State Bar of Texas has a legal hotline designed to give basic legal answers and connect low-income people with legal aid providers. If you have questions about lost legal documents, insurance, landlord-tenant problems, consumer protection issues (including price-gouging and contractor scams), call the State Bar of Texas legal hotline at 800-504-7030. The hotline is answered in English, Spanish, and Vietnamese, and callers may leave a message at any time. Qualifying callers may be matched with volunteer lawyers who provide free, limited legal help. More information is available online. Finding a Lawyer. If you need help finding a lawyer, try the State Bar of Texas Lawyer Referral & Information Service at 800-252-9690. The phone line is manned 8:30 a.m. to 4:30 p.m. on weekdays. A request may also be made at Online Lawyer Referral Service​. An online request will get an automated response, and the attorney you are referred to may not meet your specific requirements. If this happens, call the number listed at the beginning of this section. The Lawyer Referral & Information Service is a way to find an attorney. It is not intended to provide services for a reduced fee or free. You will be expected to pay. Barratry. Except in certain circumstances, a lawyer may not initiate contact with you to solicit legal employment, nor may they pay nonlawyers to solicit legal employment for them. This is called barratry, and it is a crime. To report barratry, contact local law enforcement, or call the State Bar of Texas at 866-224-5999. Deeds or other Real Estate Records. Contact the county clerk in the county where the real estate is located. Brand Registrations. Contact the county clerk in the county where the brand is registered. Birth Certificate, Death Certificate, Verification of Birth, Verification of Death, Verification of Marriage, or Verification of Divorce. Contact the Texas Department of State Health Services—Vital Statistics. Marriage License. Contact the county clerk in the county where you obtained your marriage license. This is not necessarily the county where you got married. Divorce Decree. Contact the district clerk in the county where you got divorced. Driver's License or State Identification Card. Visit your local Department of Public Safety (DPS) office or contact them online. Passport. Contact the U.S. State Department. Social Security Card. If you have a mySocialSecurity account, you may be able to obtain a replacement card online. To see if you are eligible, click here. To create an account, click here. If you are not eligible, you must request a replacement by mail or in person. You must be able to prove who you are, your citizenship, and your age. To prove this, you will need one or more of the following: a birth certificate and/or passport, hospital birth record, a religious record made before age five showing your date of birth, driver's license, state issued ID, employee ID card, school ID card, health insurance card (not including Medicare), and/or U.S. military ID card. To determine what specific documents you need, go to Social Security - Learn What Documents You Need to Get a Social Security Card. Click here for the application. Your local office can be found at Social Security Office Locator. Certificate of Naturalization, Certificate of Citizenship. Applications and instructions may be found at the U.S. Citizenship and Immigration Services website. Legal Permanent Resident Card (“Green Card”). Click here for an application and instructions. Medicaid/Texas Benefits Card. To obtain a replacement, a healthcare provider can check the provider website or TexMedConnect to verify eligibility. A provider may also call 800-925-9126. Temporary Medicaid Eligibility Verification Form 1027-A may be obtained in person only at a Health and Human Services benefits office. To find your nearest office, dial 211. Medicare Card. A replacement may be obtained online by logging in to your Social Security account. If you do not have a Social Security account, you will have an opportunity to create one. Select “Replacement Documents,” then select “Mail my replacement Medicare Card.” Make sure your address is correct. Replacements take approximately 30 days. Replacements may also be requested by phone from 7:00 a.m. to 7:00 p.m. on weekdays at 800-772-1213 or in person at your local Social Security Administration office. Your local office can be found at Social Security Office Locator. Certificate of Title. Replacement vehicle titles must be ordered by mail or in person. A completed Form VTR-34 must be sent to TxDMV, 1601 Southwest Parkway, Suite A, Wichita Falls, Texas 76302. Enclose a copy of the owner’s valid photo ID and $2 mail-in fee by check, cashier’s check, or money order payable to the Texas Department of Motor Vehicles. An agent of the owner or lienholder must also provide a letter of signature authority on original letterhead, a business card or a copy of the agent’s employee ID. You may also visit your nearest TxDMV regional service center. For further instructions or to find a regional service center, visit Texas Department of Motor Vehicles online or call 888-368-4689. Statement of Ownership and Location (SOL) for a Manufactured Home. To apply for a new SOL, use the fillable pdf application. Instructions for filling are found online by clicking here. Military Records. Military records may be requested at Veterans' Service Records, or by mail by following the instructions. Federal Income Tax Returns. The IRS Disaster Assistance Hotline is 866-562-5227. You may qualify for a fee waiver and/or expedited service. To order a transcript of a tax return, follow the instructions at About Form 4506-T, Request for Transcript of Tax Return or call 800-908-9946. Further information is available at Get Transcript FAQs. To order a copy of a tax return, use Form 4506.
Credit Cards. To replace credit cards or statements, contact the issuer. If you need a list of your accounts, you may be able to obtain this information at Annual Credit Report. Savings Bonds. If a savings bond is lost or destroyed, you may request a substitute, or you may request for it to be cashed. Replacement or reissued bonds will not be replaced with a paper bond. You will receive an electronic bond in TreasuryDirect. You will need the serial number of the bond. If you don’t know it, you may provide the specific month and year of purchase, full name, Social Security number, and mailing address. You will need FS Form 1048. You may also request a form to be mailed to you by calling 844-284-2676, or by sending your name, address, phone number, and a request for form 1048 to: Treasury Retail Securities Site, P.O. Box 214, Minneapolis, Minnesota 55480-0214. You may qualify for certain tax relief due to the disaster. More information is available at Tax Relief: Presidentially Declared Disaster Areas​, Help for Victims of Hurricane Harvey, and Disaster Assistance and Emergency Relief for Individuals and Businesses. Many people have behavioral and emotional readjustment issues and stress symptoms in response to overwhelming stressors such as those experienced in disasters. 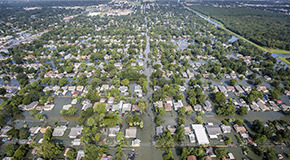 Tips for managing traumatic stress after hurricanes and floods are available through the American Psychological Association, Managing Traumatic Stress, and Manage Flood-Related Distress by Building Resilience​. Additional resources are offered by the National Child Traumatic Stress Network. The Substance Abuse and Mental Health Services Administration offers a Disaster Distress Helpline, providing crisis counseling and support to people experiencing emotional distress related to natural disasters. The helpline may be reached 24 hours a day, seven days a week at 800-985-5990. Services are available for the deaf/hard of hearing and in Spanish. Additional mental health resources may be found through the Texas Department of State Health Services. Contractors. Be alert for fraudulent and disreputable contractors. To protect yourself, get multiple estimates, don’t be rushed to commit, and check out the contractors. Ask contractors for references from past customers, and check them out with the Better Business Bureau or read other reviews and reports. Be wary of businesses from out of town. Do not be rushed or pressured. Be suspicious of salespeople who rush you, pressure you, or play on your emotions. Get everything in writing, and keep copies of everything. Be detailed. Do not sign contracts with unfilled blanks. Be aware that if the transaction takes place at your home, you have three business days to cancel, and they must give you a notice of your right to do so. Ask for proof that the contractor is insured to avoid liability for any accidents that might occur on your property. If the contractor makes a guarantee, make sure it is written in detail. Do not pay too much in advance. Get an inspector or insurance adjuster to inspect completed work before you make full payment for it. If the work is not completed to your satisfaction, do not sign paperwork saying that it is complete. Do not be pressured to do so. For resources for identifying, avoiding, and reporting scams visit the website of Texas Attorney General Ken Paxton​, or call 800-621-0508. Scammers. To avoid being swindled by people who say they are charities, it’s a good idea to give only to charities with which you are already familiar. If you do not know who sent you a link in an email, do not click it, and do not enter any personal or financial information. Most reputable organizations will not seek donations from individuals by email, telephone, or door-to-door. Price gouging. It is illegal to take advantage of a disaster declared by the governor by selling or leasing fuel, food, medicine, or another necessity at an exorbitant or excessive price, or by demanding an exorbitant or excessive price in connection with such a sale or lease. If you believe you are being unfairly charged for goods or services such as drinking water, food, towing, lodging, or another necessity, and are unable to resolve the matter with the merchant or provider, you may file a complaint with the Attorney General’s office online, or by calling 800-621-0508. After a disaster, rumors and/or scams abound. FEMA has set up a website to try to deal with those of which it becomes aware. Visit the Hurricane Harvey Rumor Control website​​. Additional resources have been made available by the Texas Young Lawyers Association, a department of the State Bar of Texas. They are listed individually below.